The Omnicom Group issued a statement today on the tragic passing of executive Gordon Patterson, who died last week after a botched robbery attempt at his home in Johannesburg, South Africa. Patterson was killed after an altercation with a group of individuals who followed him into his garage in an apparent attempt to steal his car. He is survived by his wife Sonja. "It is with great sadness and shock that we acknowledge the passing of Gordon Patterson," wrote an Omnicom spokesperson. "A true professional, he had a profound impact on the industry, earning various prestigious accolades and titles over his 25-year career." "At the time of his passing, Gordon was director of the Omnicom Media Group, a board member of the Audit Bureau of Circulation and vice-chairman of the Advertising Media Association of South Africa, among other positions," the statement continued. "His contributions to the Omnicom Group were valuable and far-reaching; they will be felt long after his passing. Together we mourn the loss of our colleague and friend, and express our condolences to his family." 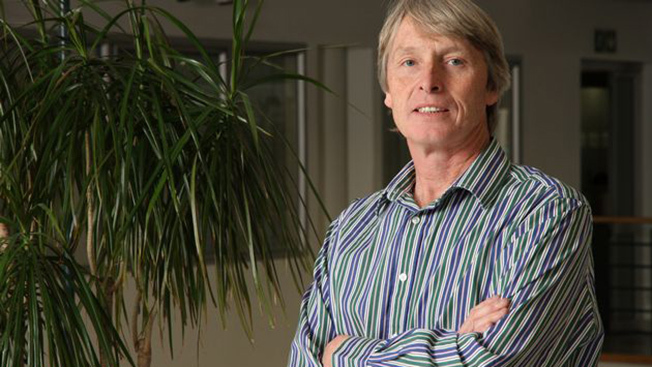 Last Friday, the Advertising Media Association of South Africa also issued a statement to CNBC and other news outlets: "Gordon has been one of the leading lights in the media industry in South Africa and his passion for media, and indeed for life, is mirrored in his unstinting and selfless service to the industry for over three decades." Patterson joined Omnicom in 2014 as business director in its Johannesburg office. He previously worked as a strategist at Y&R and Leo Burnett South Africa and held various executive-level roles at Publicis' Starcom MediaVest group, helping to launch both the Africa division of Starcom South Africa and MediaVest South Africa. He served as a jury member at the 2008 Cannes Lions Festival, and in 2010 the local AdReview Awards named him Advertising Achiever of the Year. The incident that led to Patterson's death was caught on camera, and police in Johannesburg continue to investigate the attack. WARNING: The footage is graphic and disturbing.